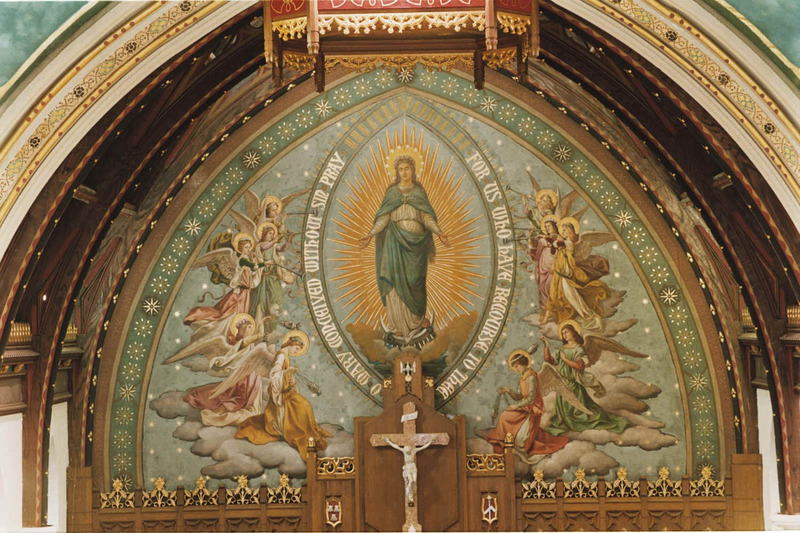 Raggi's most spectacular additions to the Chapel were the mural on the chancel arch and the transformation of the chancel wall mural of the Immaculate Conception. 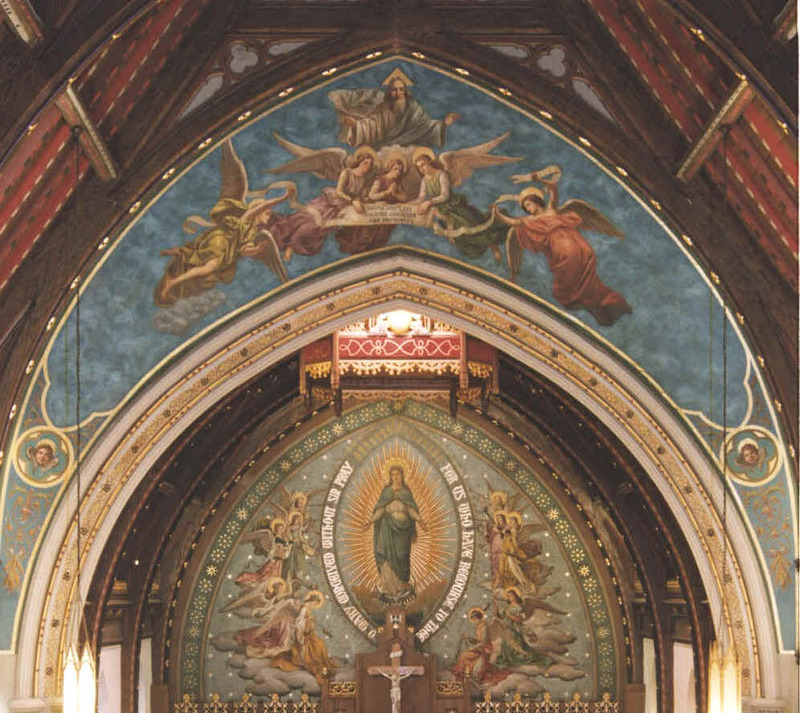 The arch mural is a color-filled depiction of God the Father surrounded by angels on a star-studded blue background. On the wall, Raggi painted out the angels at the feet of the Blessed Virgin, enhanced the central figure with radiating flames and surrounded the central mandorla with adoring angels, also on a star-studded blue background. He decorated the area beneath the mural with stenciling over a bright background. In the center of the bottom portion of the wall he installed a curtain to obscure the door to the sacristy. 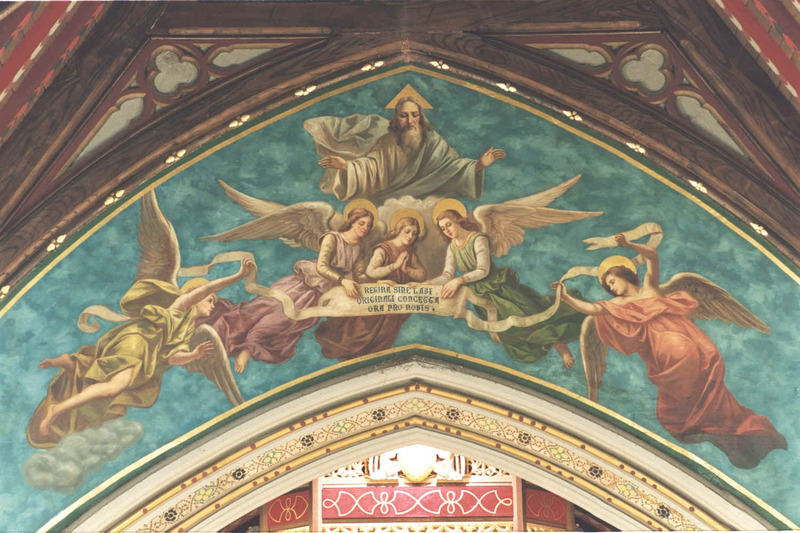 God the Father looks over five angels bearing a scroll with the words "Regina Sine Labe Originali Concepta Ora Pro Nobis," or "Queen Conceived Without Original Sin, Pray for Us."